In honor of Breast Cancer Awareness month, I am choosing to give this space to an organization that I truly do admire, The CARE Project, INC. I met Carrie Madrid, founder and Stage III Breast Cancer Survivor about a year ago and of course, we hit it off! Her personality is infectious and anyone who is blessed to meet her would resoundingly agree, you can't help but be joyful. We have crossed paths a few times and I was grateful to be invited to share with her group about how I can help resolve intimate challenges that survivors may encounter. I truly applaud the way that she chooses to support male and female survivors, using the financial assistance in practical ways that are sometimes overlooked. Please visit her Facebook and Instagram pages and search your heart for how you can support! Find out more about Hidden Treasures, One woman’s inspirational story about life, love, heartbreak, losing almost everything and her amazing journey to rediscovering herself and her purpose. We appreciate everyone who has referred a patient to us in the past, and to show our appreciation we are offering you $25 off your next appointment or service for each patient that you refer to us! Leita Harris, MD Dr. Leita Harris has been delivering health care to women in the Inland Empire since 1990. Dr Harris specializes in providing quality gynecological care and overall wellness. Key Specializations include Biodentical Hormone Therapy Treatment and FemTouch Laser Rejuvenation. 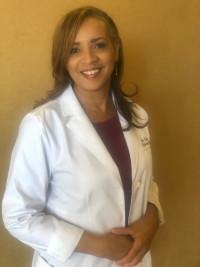 Being sensitive to her clients needs and offering an individualized approach to women's wellness makes Dr. Harris an expert in delivering compassionate care. This Brain Awareness Week - It's time to 'brain better'! ~ Gratitude ~ Faith ~ Healing. End of year specials ~ Happy Thanksgiving!